Making fresh preserves – no canning required. Okay – so what’s all this about NOT canning? Featuring a book that discusses how you don’t have to can is not something you’d expect from me…a canning instructor. So yes — this book is a little different from the typical “preserving” book I feature on the podcast. There is not a single water bath or pressure canned recipe in the book. Yet, it’s still filled with enticing pickles, chutneys, jams, and condiments that feature fresh, local produce. Instead of “putting up” the preserves, all of the recipes are meant to be eaten in the fresh state and are either refrigerated or frozen…not canned. Now stay with me here! It gives the reader a way to capture extra produce in a small batch preserve and enjoy it NOW. 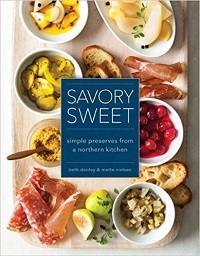 And the authors were so creative in their flavor combinations with things like Lavender-Scented White Currant Syrup, Spicy Grape BBQ Sauce, Roasted Rhubarb Ketchup, and Smoked Paprika and Horseradish Mustard. If you’re a seasoned canner (and I know that many of my readers and students are very experienced), then you will quickly see that some of the recipes in the book are perfectly safe to can. The book just doesn’t give you instruction on how to do it – so you’d have to do that on your own. All the recipes can be made and enjoyed fresh…with all their bright flavors intact. 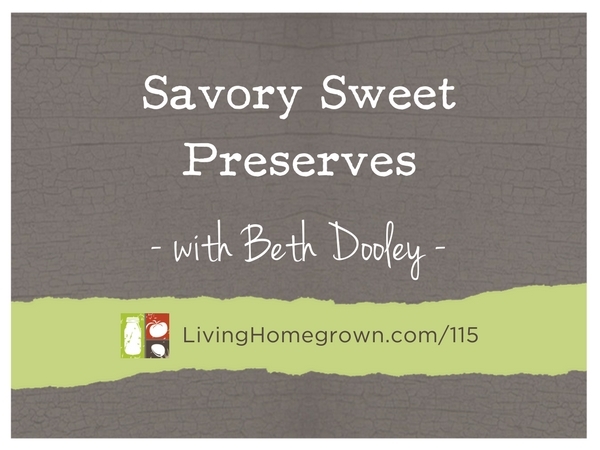 I brought on one of the authors, Beth Dooley, to explain the philosophies behind the book and to share a recipe perfect for the Thanksgiving table. Beth Dooley has been covering the local food scene in the Northern Heartland for over thirty years. She’s the author of six cookbooks, including Savoring the Seasons of the Northern Heartland, with Lucia Watson (a James Beard Nominee); Northern Heartland Kitchen; Minnesota’s Bounty: The Farmers Market Cookbook; and The Birchwood Café Cookbook with Tracy Singleton and Marshall Paulsen; In Winter’s Kitchen: Growing Roots and Breaking Bread in the Northern Heartland; and Savory Sweet: Simple Preserves from a Northern Kitchen. Beth writes for The Star Tribune and appears regularly on KARE 11 TV and Minnesota Public Radio. She lives in Minneapolis with her husband Kevin and is the mother of three adult sons. Get The Recipe Mentioned on The Episode! 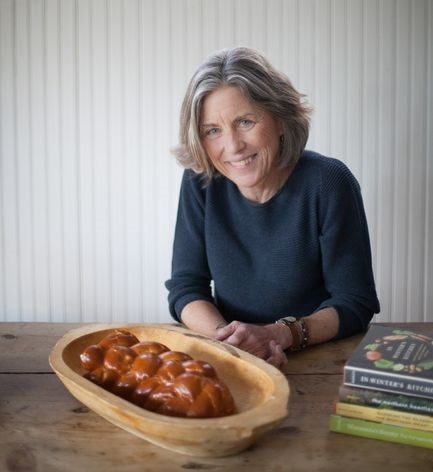 Beth was gracious enough to share a recipe from the book: Sweet Pickled Winter Squash. And I turned it into a printable PDF for you below. Click below to get a printable PDF version.